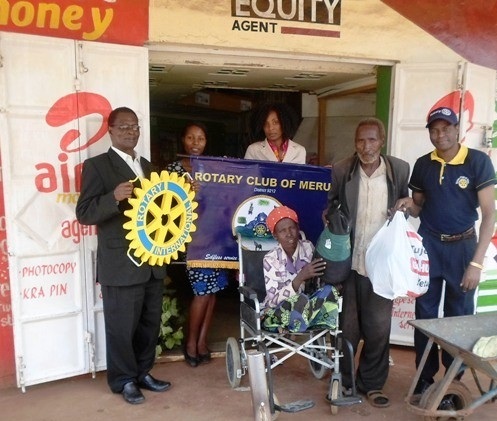 As we prepare to celebrate our eighth anniversary this year, the Rotary Club of Meru looks back at the journey traveled so far with enthusiasm and hope for the future. The positive impact our club has made in the Meru community (and the country at large) is in itself a reason to be optimistic about tomorrow. 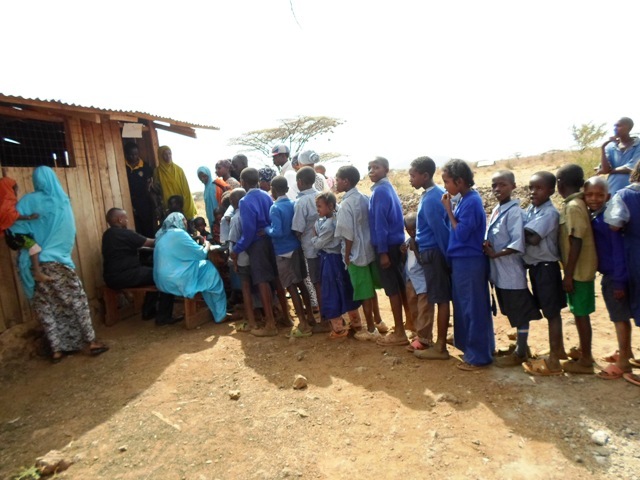 Our water catchment and water harvesting projects in remote areas such as Tharaka and Kachiuru improved the locals’ health, enhanced food security and positively impacted school performance in the region. Rotarian Julius Mungania, who comes from the area, says that “before Rotary brought the water project here most children used to spend the entire day searching for water, thereby missing their classes—something that adversely affected the overall performance of most schools.” But now the situation is different. For example, Kamariru and Gachaine Primary Schools have seen their mean overall scores improve drastically: up from 250 before the projects to more than 350 marks after the completion of these projects. Our club also worked to serve in places normally considered highly sensitive and out of bounds to the public: for example, a Kenyan prison. Through the help of Rotarian Eva Wambugu, a Judicial Officer at the Meru Law Courts, we paid a visit to the inmates of Meru Women’s Prison in 2013. Songs, dances and poems by the inmates marked the occasion—mostly in praise of Rotary or about their hope for the future. As part of our Sun Shine Rallies, we provide a host of supplies like milk powder, food, soaps, sanitary napkins, and clothing to vulnerable groups in the society, including these prisoners. On a Friday evening, 5:30 p.m., our club holds its usual weekly meetings at the Meru Sports Club. And today the discussion takes our members to a project in a remote land miles and miles away from the comfort zone of the city. “The journey is going to be long and tedious,” advises Past President Gatobu, who has participated in a similar activity in the past. “It is a dangerous expedition as well–there are many bandits in the area.” And as expected, in the spirit of” service above self,” the motion carries the day. The group is now mandated to take health care services to a disfranchised population about 80 kilometers away from Meru town. Throughout most communities in Kenya, women serve as breadwinners. The Rotary Club of Meru is currently looking for partners to implement two projects for local women empowerment. The first project focuses on social-economic empowerment through a revolving loan fund and the second will establish a Girl Education Action Institute for vulnerable girls on the streets of Meru and Tharaka-Nithi Counties. For more information, see the project listing on Rotary Ideas and contact the Rotary Club of Meru President Dickson Mugendi David Ntwiga at ddntwiga@rotarymeru.com“. 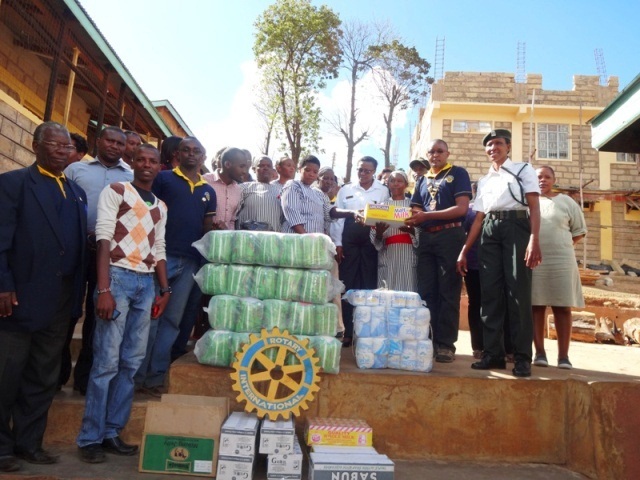 Congratulations to the Rotary Club of Meru! Establishing of a Girls education action institute for vulnerable girls is a noble idea we in KNLS Meru library would love to be part of it.